SPECIAL NOW APPLIES TO 1 AND 4 OUNCE CANDLE AND SOAP FRAGRANCES! Swans Candles can supply your fragrance needs from hobby shop to bulk user. 1oz and 4oz Special Scent Sale! Buy 10 1 oz or 10 4 oz Fragrances Get same size Fragrance Free! We stock only the finest fragrances that are true to their scent and no oily after taste. All our fragrances work great in Soy Wax. Due to personal taste and the range of naturally-occurring potency of our scents, there is no single recommended formula. Suggested use level ranges from 1.0% to 7.0%. It has been our experience that the ratio of 1 ounce scent to 1.5 pounds of wax will produce a medium scented candle. For real strong candles we use 1 oz per pound for container candles. BUY 5 LBS OF SAME FRAGRANCE AND SAVE .50 PER POUND. ORDER 25 LBS OF SAME FRAGRANCE AND TAKE OFF $2.00 PER POUND(Allow 3 weeks on 25 lbs). WE ADJUST HERE. SCENTS IN GREEN ARE SOAP AND LOTION SAFE! We also sell Unscented scent sticks to make your own incense. PLEASE REMEMBER TO TEST YOUR CANDLES, EVEN CHANGING FRAGRANCE CAN REQUIRE DIFFERENT WICK. We now stock scent sticks to make your own incense We now have over 220 different fragrances and are adding more so we have had to break our scent department into 3 sections. Here you can find Afterglow to Eucalyptus. We have also made a new scent list page with all of our candle scents listed alphabetically, the list is clickable and will take you to that candle fragrance, Click Here For our complete candle fragrance oil list. Bergamont Tea candle fragrance oil Safe for Soaps and Lotions. Berry Christmas candle fragrance oil, Safe for Soaps and Lotions. Safe for Soaps and Lotions. A rich and buttery bouquet, featuring a top note of Italian lemon with touches of creamy milk and sugared Madagascar vanilla amidst a hint of cinnamon bark with an elegant dry down of warm ginger & Tonka bean. Safe for Soaps and Lotions. Scrumptious, sweet wild berries are warmed with creamy vanilla, mandarin and black currant tea, with hints of juicy cantaloupe, zesty grapefruit, and green rose. Blackberries picked fresh ready for the pie. Blackberries and Birthday cake make the perfect Holiday. Safe for Soaps and Lotions. Blue Hawaiian candle fragrance is a blend of our Iced Pineapple, Banana and Blueberry. Safe for Soaps and Lotions. Flash Point 180F. Mounds of luscious ripe Maine blueberries are accented with a sweet blend of creamy French vanilla, a dash of cinnamon and a nuance of clove wrapped around a buttery accord. Safe for Soaps and Lotions. Blueberry Muffin Candle Fragrance is a blend of our Birthday Cake and Blueberry. The name says it all minus the alcohol...Smells great but please don't drink it! Butter Cookie Candle Fragrance is a blend of our Buttercream and Sugar Cookie. Safe for Soaps and Lotions. Caramel Apple candle fragrance oil is a blend of Caramel and Mac Apple. 1oz and 4oz Special Scent Sale! Buy 9 1 oz or 4 oz Fragrances Get 10th same size Fragrance Free! 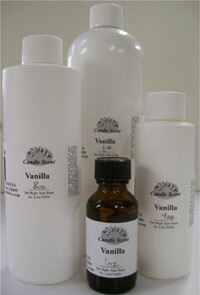 Mix & Match Any 1oz or 4oz Fragrance(10 same size) We will adjust your invoice if we missed a qualifying fragrance. We only charge actual shipping and weigh each package before charging card. SCENTS IN GREEN ARE SOAP AND LOTION SAFE!